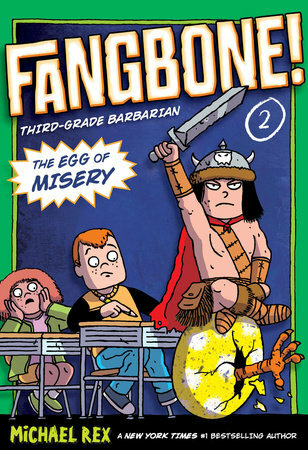 Class 3G gets a new class pet from Fangbone's barbarian home world - an unhatched egg of the legendary White-titan Razor-dragon! But the evil Venomous Drool is also after the egg, and Fangbone must turn to his classmates to help protect it from dangerous enemy attacks. With Eastwood Elementary's science-themed pageant fast approaching, can the third-graders come up with the perfect class project and take care of the egg until it hatches?